The Coming Home Network was established by converts to help clergy and laity of other Christian traditions discover the truth and beauty of the Catholic Church and to make the journey home. We’re also here to challenge and empower each other — as the Coming Home Network — to answer the universal call “to the fullness of the Christian life and to the perfection of charity” (Lumen Gentium 40). Together, we can help to bring renewal to the Church and to assist her in fulfilling her mission of evangelization and Christ’s call for Christian unity. What if we worked together to rebuild Christian unity one friendship, one conversation, one prayer request, and one conversion story at a time? People who have come home to the Catholic Church from other Christian traditions remain acutely aware of the divisions in the Body of Christ. On the one hand, we have a hard-won appreciation of the fullness of truth and beauty to be found in the Catholic Church. But we’ve also seen the continued work of the Holy Spirit among our separated Christian brothers and sisters and remain grateful for the faithful witness of those who first introduced us to Jesus Christ long before we came home to Catholicism. With all this in mind, we continually yearn and work for the unity for which the Lord Jesus prayed. Our mission is to share the stories of how the Holy Spirit led us to the Catholic Church, to charitably and clearly dialogue with other Christians, and to personally disciple those who similarly embark on the journey home to full communion with the one, holy, catholic, and apostolic Church. As a network, we can also encourage one another to live out the fullness of the Christian life as Catholics and we can work together to help bring renewal to the Church. Each monthly CHNewsletter features a new conversion story, articles, and most importantly a list of prayer requests and grateful anecdotes from around the network. Here you can instantly begin connecting with other converts and people on the journey to the Catholic Church. You can share stories, experiences, and knowledge as well as give and receive advice from people who came from a similar religious background a can relate to what you’ve gone through becoming Catholic. We’ve found that our CHNetwork retreats are some of the very best opportunities that exist for converts to experience the fellowship of being with a small group of others who have walked a similar path into the Catholic Church and know intimately the struggles involved in conversion. It’s a great time to share stories, to pray and worship together, while also learning more about our Faith. 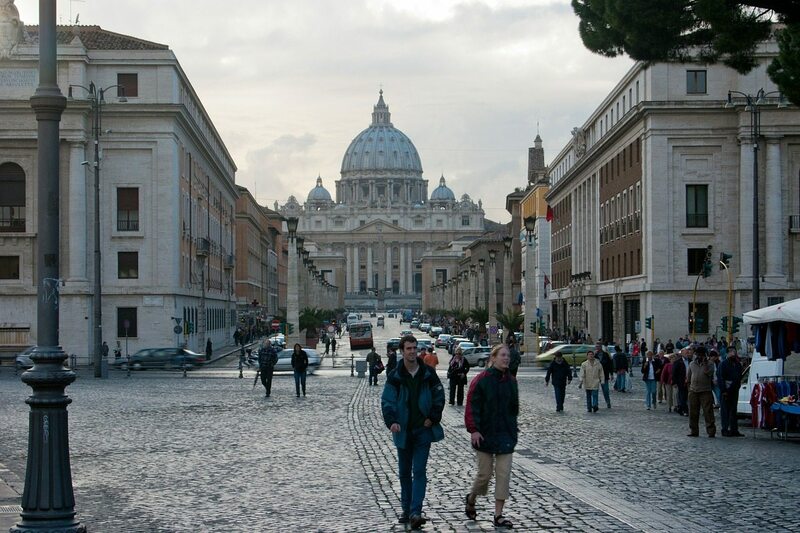 Nothing can be more exciting for a convert than to visit the great sites associated with our Catholic Faith. A “Deep in History” CHNetwork pilgrimage is all about experiencing the beauty of the Catholic Church while building lifelong friendships with others who have made similar journeys. Experience up close the history of the Catholic Church. We want to hear your story, and we provide a variety of opportunities for members of the Network to share their stories with others: either directly with other members through fellowship opportunities such as our online community or CHN Retreats and Pilgrimages, or possibly with a wider audience through The Journey Home Program on EWTN, publication in the the CHNewsletter, or on our website. Support the Network & Spread the Word! You’ve made this journey. You know how difficult it can be but also what fruits it can yield for an individual and for the Church. Please help spread the word about our work and support it through your input, prayers, and financial contributions.